Despite the growing interest in deliberative and dialogue models the research literature lacks investigations of the underlying assumptions of deliberative methods. Starting from the current popularity as well as the broad use of the method of deliberative inquiry -one example of such a deliberative method- this article aims to identify approaches and underlying assumptions of deliberative inquiry. 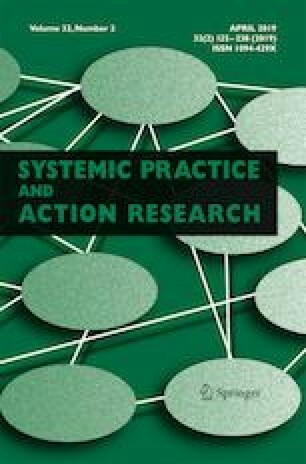 Therefor a systematic literature review of empirical research, of descriptions of practical deliberative procedures and of theoretical research of deliberative inquiry is used. This review demonstrates that the method of deliberative inquiry is elaborated and used within different contexts with a corresponding range of rationales: From (1) a procedure to tackle curriculum questions through (2) a way of investigating and agreeing upon policy actions to (3) collaboratively researching issues. By describing the three approaches and by investigating the assumptions of deliberative inquiry within each approach, we demonstrate a range of rationales behind this method. Despite the distinctions, the primary goal of all manifestations of deliberative inquiry is similar: to contemplate a practical problem in a systemic and collaborative way, to weigh arguments for possible solutions and to make (even temporarily) a decision. This article concludes with future research perspectives. We would like to acknowledge the anonymous reviewers of this article. Their comments helped us to further elaborate our analysis and argumentation. Schwab, J. J. (2013, reprint). The practical: a language for curriculum. J Curric Stud, 45(5), 591-621. https://doi.org/10.1080/00220272.2013.809152.